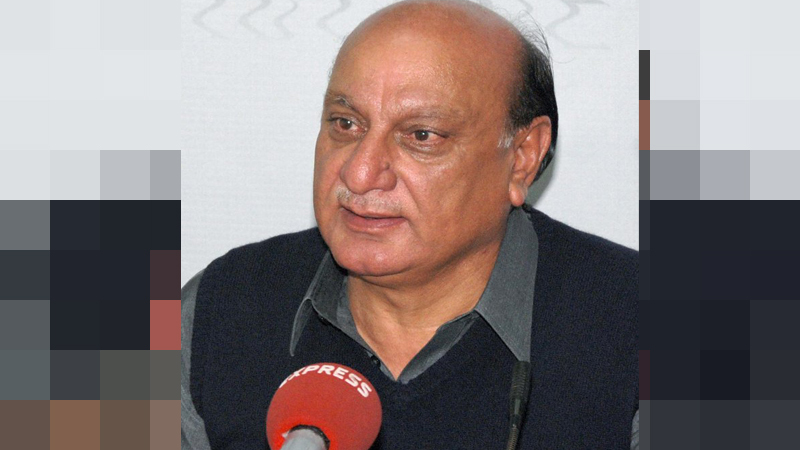 Punjab Law Minister Raja Basharat Sunday termed the killing of three members of same family in Sahiwal police ‘encounter’ a ‘collateral damage’ caused during the security personnel’s attempt to eliminate a suspected terrorist, a private TV channel reported. Addressing a press conference in Lahore alongside other members of the provincial cabinet, Basharat said the Counter-Terrorism Department (CTD) officials did not intend to ‘directly’ harm deceased Khalil’s family during the operation but ended up killing them as a collateral damage while targeting Zeeshan, a family friend and neighbour of Khalil who the minister said had alleged links with terrorist organization Daesh. Basharat said the team that took part in the operation had been taken into custody and its supervisor had been suspended. A joint investigation team (JIT) tasked with probing the ‘encounter’ will present its findings to Punjab government within three days, he said, adding that a first information report had been registered at the family’s request. Basharat told reporters that for some time Zeeshan had links to a ‘dangerous network’ of Daesh and was working with them. He claimed that this network was responsible for the murder of intelligence officials in Multan, the kidnapping of former prime minister Yousuf Raza Gillani’s son Ali Haider, and the murder of two police officials in Faisalabad. Basharat revealed that in the murder of ISI officers in Multan, a silver Honda City car was used which police and agencies were searching for. On January 13, the Honda City was spotted allegedly carrying suspected terrorists. When footage from the Safe City cameras was looked at, it was discovered that Zeeshan’s white Suzuki Alto was ‘also with the terrorists’ car’, the minister claimed. He added that they would also share the video and pictures from the Safe City cameras which would show that Zeeshan’s car ‘was also being used by the terrorists’. CCTV footage from January 13 was later shown at the press conference in which a silver Honda City could be seen trailing behind a white Alto. According to the minister, after tracing the car, surveillance footage between January 13 and 18 was reviewed and on January 18 it was ‘verified that Zeeshan was working with the terrorists’. The same day (Jan 18), agency personnel reached Zeeshan’s house and found terrorists present there along with explosive material, he claimed. He said since Zeeshan’s house was located in a congested area, conducting an operation there was not feasible. He added that if an operation had been conducted there, lives of many people would have been put in danger. It was therefore decided to wait for the suspected terrorists to leave in the car, he added. On January 19, the Safe City cameras spotted the white Alto in Manga area going from Sahiwal, Basharat said. Security agencies were informed of this development and because the car had gone outside Lahore, the CTD team was informed to stop the vehicle. According to the intelligence gathered at the time, the terrorists were ‘carrying explosives’ and there was information that they were headed towards some congested area, Basharat said. “When the car was stopped in Sahiwal, firing took place,” the minister said, without elaborating. He added that the car’s windows were ‘black’ and people sitting on the back seat could not be seen. Zeeshan was driving the car himself, Basharat said. He said the JIT formed has been tasked with determining how and why the firing had taken place. Further action on the incident will be taken based on the JIT’s report, he added. Quoting the stance of the CTD, the minister said Zeeshan had opened the fire first, but he noted that there was also the family’s stance “that is why a determination of the incident is necessary”. He said the investigation team will determine why Khalil’s family was travelling with Zeeshan and what relation Khalil had with Zeeshan. Basharat claimed that two suicide jackets, eight hand grenades, two pistols and bullets were recovered from Zeeshan’s car. The JIT will also determine where Zeeshan was allegedly carrying these weapons and explosives and from whom he received them. According to the minister, after news broke of the incident on Saturday afternoon, two terrorists present at Zeeshan’s house saw the news on social media and fled the residence to go towards Gujranwala. He said agencies tracked these suspected terrorists and when CTD personnel surrounded them in Gujranwala, they ‘blew themselves up with suicide jackets’. He said if these terrorists had not been followed, they could have caused ‘very large-scale destruction in Punjab’, adding that many threat alerts had been received on the matter. “The elimination of these terrorists was necessary which is why the ISI and CTD conducted this joint operation,” he said. Recapping the chain of events that culminated in the deaths, Basharat said this operation was done on the basis of intelligence ‘because of which a lot of innocent citizens’ lives have been saved’. He said Zeeshan was killed in Sahiwal on Saturday afternoon, and two other suspected terrorists, Abdur Rehman and Kashif, were killed in Gujranwala the same day at 11pm ‘which was a continuation of this same operation’. “Unfortunately because of the valuable loss of the Khalil family the credibility of this operation has been challenged,” he remarked, reading from a paper. The minister said Prime Minister Imran Khan and Punjab chief minister felt the pain of the affected family and based on their orders, the family will be provided justice. “No sort of compromises will be made with anyone in this matter,” he stressed. “I believe that this is the credibility of the current government, that without any discrimination, we have to fulfill the requisites of justice,” he said, promising that those found responsible in the incident will be brought to justice.